1. The fractures are highly unstable. This renders techniques of Plaster of Paris not suitable. This technique has lead to problems of anterior knee pain for patients who kneel down on a regular basis. 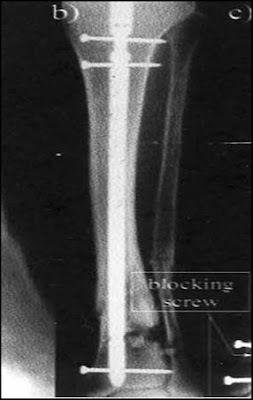 The nail is a semi-rigid device and may lead to fracture displacement leading to malunion and even delayed union. 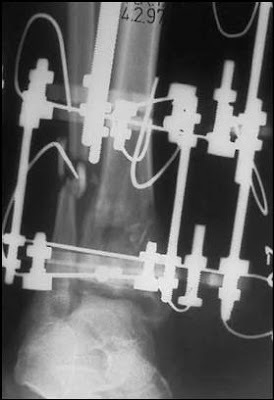 Pin tract infection and non union are possible complications of this method of treatment for this particular fracture. The soft tissue (skin) is tenuous. The skin will have difficulty in healing and may subsequently become infected.